The holiday season is in full swing and you're probably being bombarded by holiday party invitations, ads that include Christmas cocktails and wine bingeing, and if you're really lucky, a secret Santa gift that includes some sort of drinking paraphernalia. Ah, it ain't easy being sober folks. But that's why I'm here to give you some seasonal drink ideas to cure your "Am I the only one who doesn't drink?" feeling. Mocktails can be controversial in the sober community. Personally, I love them, but I know there are a lot of people who feel iffy putting a drink in their system that resembles an alcoholic drink. That's why I wanted to write a post providing you with seasonal drinks to drink that aren't mocktails. These drinks are alcohol-free and may be something you've never tried, have forgotten about, or didn't realize were holiday-themed. I don't know why, but I always thought of egg nog as an alcoholic drink. I actually never knew that eggnog does not have alcohol unless it's added to it. I also learned that eggnog originated in medieval England and was brought over by American colonists. The then-popular drink was called possets and actually was a combination of milk and alcohol. If you buy store-made eggnog it will not have alcohol and you can spice it up in a nice glass and garnish with nutmeg and a cinnamon stick. You can also make your own eggnog at home. It's not hard to do and the benefit of making it at home is that you can control the strength of the flavors you include. Here is a recipe for it. 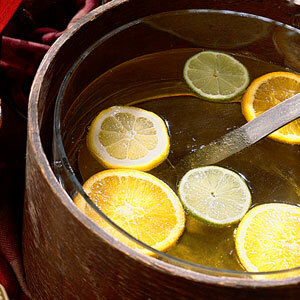 Apple cider is an unfiltered, unsweetened, non-alcoholic beverage made from apples. It's not to be confused with "cider" or "hard cider" drinks found in the U.K. and Canada that contain alcohol. Apple cider is typically opaque in color and tangier because of the unfiltered apples. You can find apple cider at farm stands and local mills, as well as some grocery stores. It is a seasonal drink that is often served warm around the holidays starting in autumn and lasting through New Year's Day. You can purchase apple cider and take it home to warm up and add cinnamon and maple syrup to make it a bit sweeter. 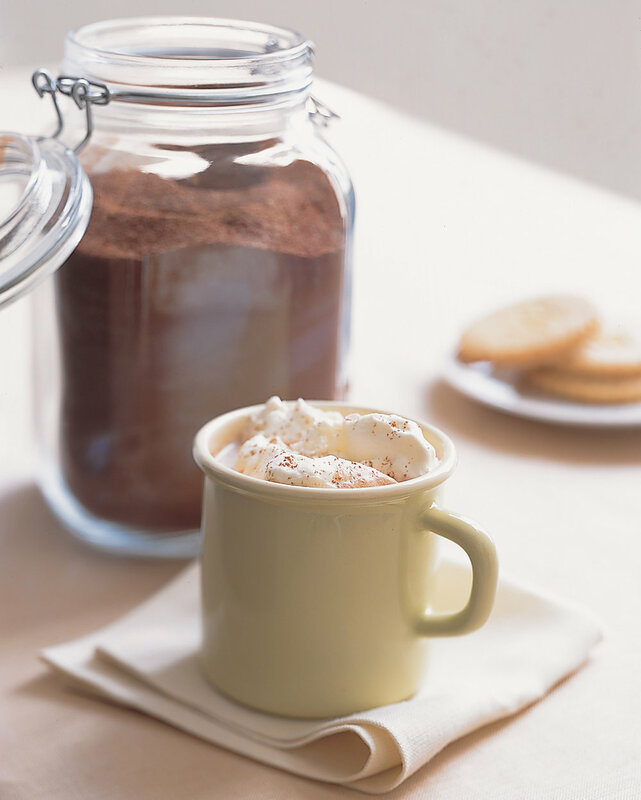 A quick 15 minutes is all you need to make some delicious homemade hot cocoa. The recipe I found from Martha Stewart includes all the essentials: cocoa powder, milk, and semi-sweet chocolate chips. Top it with a smidge of whipped cream and you're ready to snuggle up on the couch! Mmm, is there anything more comforting than a warm chai tea? I have forgotten about chai tea lately so I was happy to add this as a delicious non-alcoholic holiday drink. I always look for the easiest recipes because I am not a great cook. For this one, all you need is chai tea bags, some spices, milk, brown sugar, and the creamer of your choice. Garnish with whip cream if you so choose. This simple drink can be served hot or cold. Made with tea bags, vanilla extract, almond extract, water and fresh lemon juice, you can garnish with lemon, orange, and lime slices at the end. This one might be good enough to drink all year round. Get the recipe here. Pumpkin is in season from September through December. It's not just an October treat. 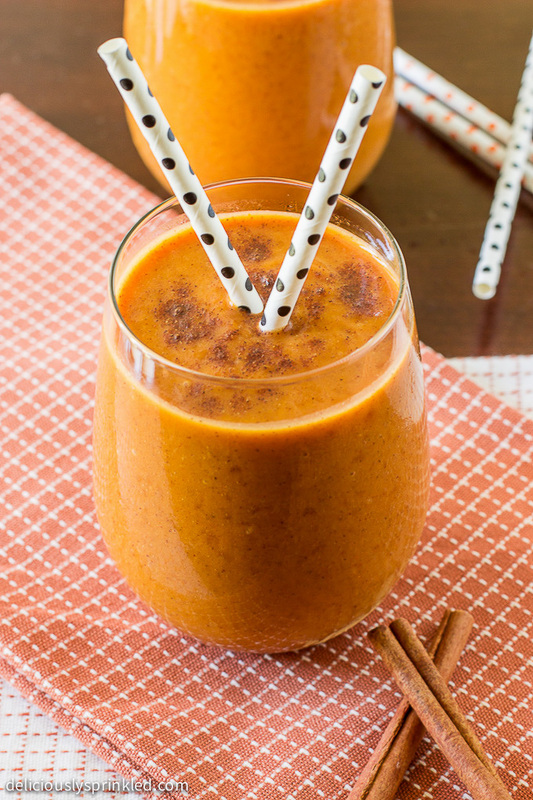 This pumpkin spice smoothie recipe is easy, healthy, and delicious. All you need is canned pumpkin puree, milk, pumpkin pie spice, sugar, and cinnamon. I'm not a typical pumpkin spice latte girl so I was happy to find a recipe with a different style. Who says milkshakes can't be holiday-themed and pretty? Toasted marshmallows are what make this one so special. I also typically forget about drinks that include ice cream so this was a good reminder. The total time to make this recipe is only 10 minutes. A toasted marshmallow and malt milkshake is not only a treat, but far superior to any alcoholic drink I've had. Another simple, but intricately flavored milkshake, the peppermint oreo shake has candy canes, winter Oreos with red filling, and vanilla ice cream. My mouth is watering just typing this. I love that this drink tastes simple ingredients and makes them into a drink that is fit for a holiday party. If you bring these to your holiday event, I think you'll be the favorite in the group. Hint: if you can't find winter Oreos, you can always use red food coloring to make the milkshake a pink color. Yes, this is exactly what it sounds like, coffee + white chocolate. A simple and easy recipe that involves heating the chocolate, combining it with coffee and creamer, then garnishing it with whipped cream. 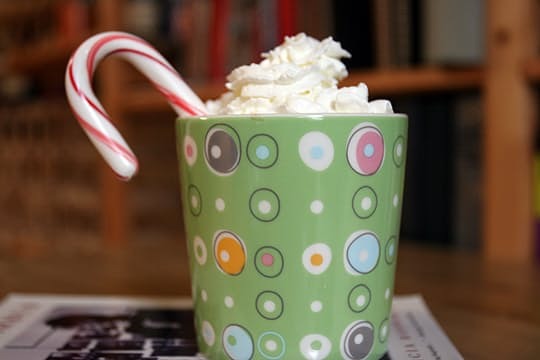 My sober heart is soaring with this delicious holiday drink in mind for Christmas. Get the full recipe here. Being sober is anything but boring and I hope this post reminds you that we too, can have beautiful and yummy holiday drinks at our fingerprints all December long. They don't have to resemble alcohol, they don't have to be "fake" mocktail drinks, but it is fun to have options that aren't our typical daily drinks of water, sparkling water, plain coffee, and tea. Cheers to enjoying the holidays clear-headed, present, and sober!